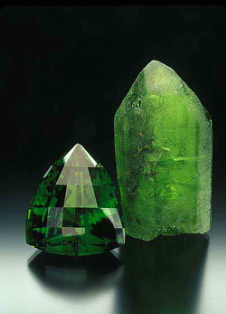 Ancient papyri, as early as 1500 BC, show the influence of peridot from the Topazos Island, an area in the Egyptian Red Sea. 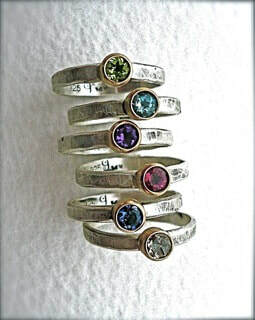 Today the island is called by the Arabic word for peridot, Zabargad. The Topazos of classic Greece and Roman times are the modern peridot. Peridot was used for finger rings during the Hellenistic and Imperial Roman periods. During sacred ceremonies, Egyptian priests would brew a strong, hot drink from crushed stones believed to bring them closer to nature, which were especially popular amongst the adherents of the Goddess Isis. 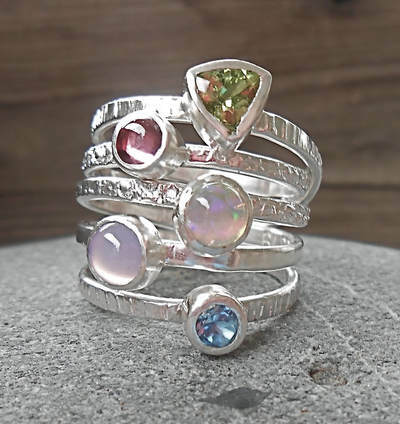 Cleopatra was described as ‘bejeweled in emeralds’ but archaeological evidence has shown that the stones were actually peridot ~ for which she had a deep love. 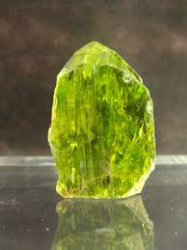 Peridot is the national gem of Egypt, similar to the emerald, but softer in intensity. 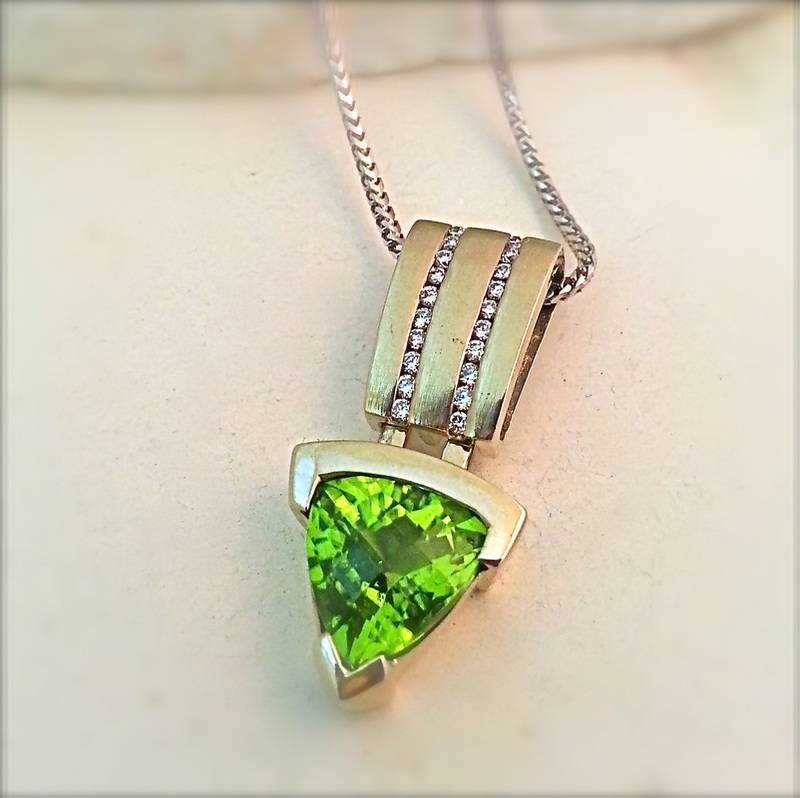 Peridot is a gemstone that forms deep within the earth and is brought to the surface by volcanoes. 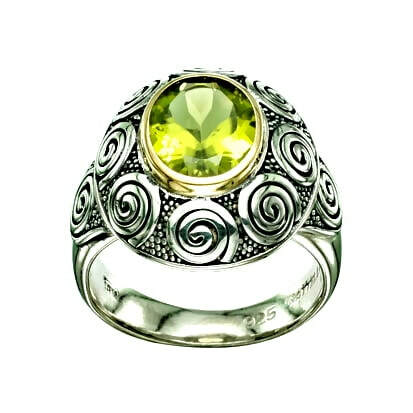 In Hawaii, the peridot symbolizes the Tears of Pele, the Goddess of Fire, Lightning and Volcanoes. 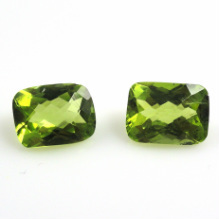 Peridot stones could be found after nightfall due to their radiant glow. 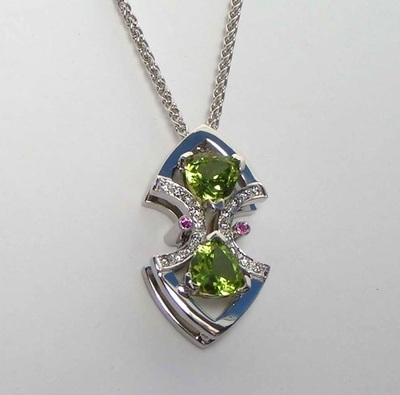 Other names for peridot since ancient times have been the ‘evening emerald’ or chrysolite. Medicinal liquids were thought to be more effective when served in vessels made of peridot; its healing properties were to protect against nightmares, and bring the wearer power, influence and an auspicious year. Legends allude to peridot’s strong magical powers, and if the gem is set in gold, it will develop its full potential as a talisman. A Venetian manuscript from 1502 cited the ancient practice of using a peridot, with a carved symbol of a burro on it, to assist the wearer in the art of prophecy. 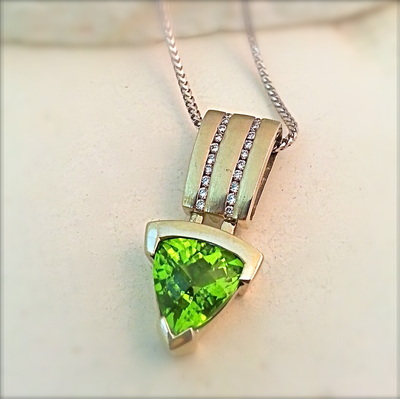 Pliny the Elder stated that peridots work their strongest powers if worn on the right arm. 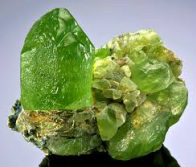 ​Throughout history it was believed that powdered peridot could cure respiratory problems such as asthma, and be mixed as a salve to help heart troubles. In the Middle Ages, peridot was placed under the tongue to reduce fevers. 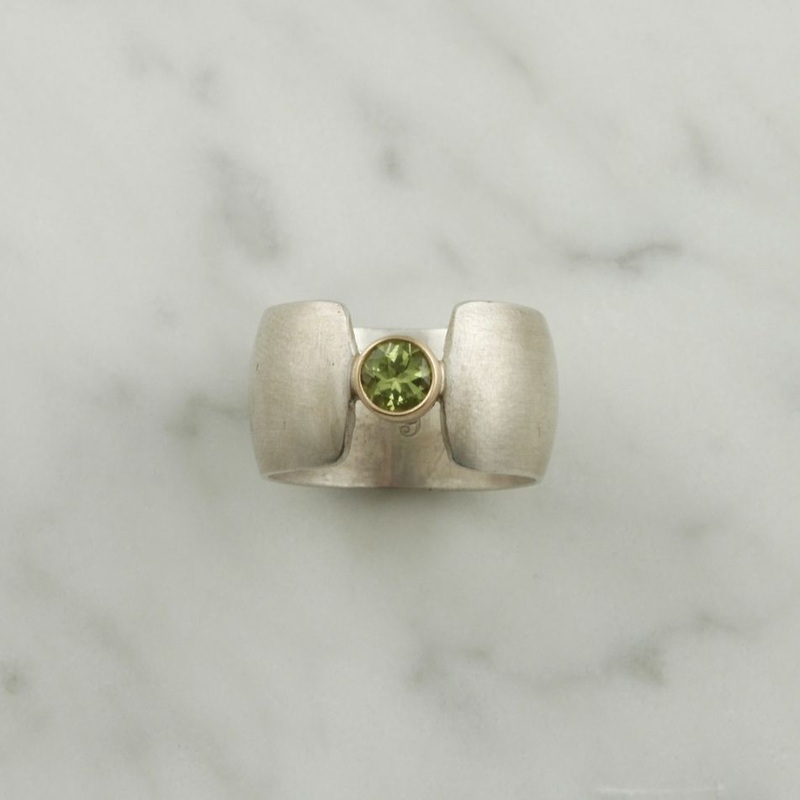 The peridot possesses healing properties, especially useful for the eyes, lungs, heart and stomach. It is said to bring about calm and soothe the nerves. 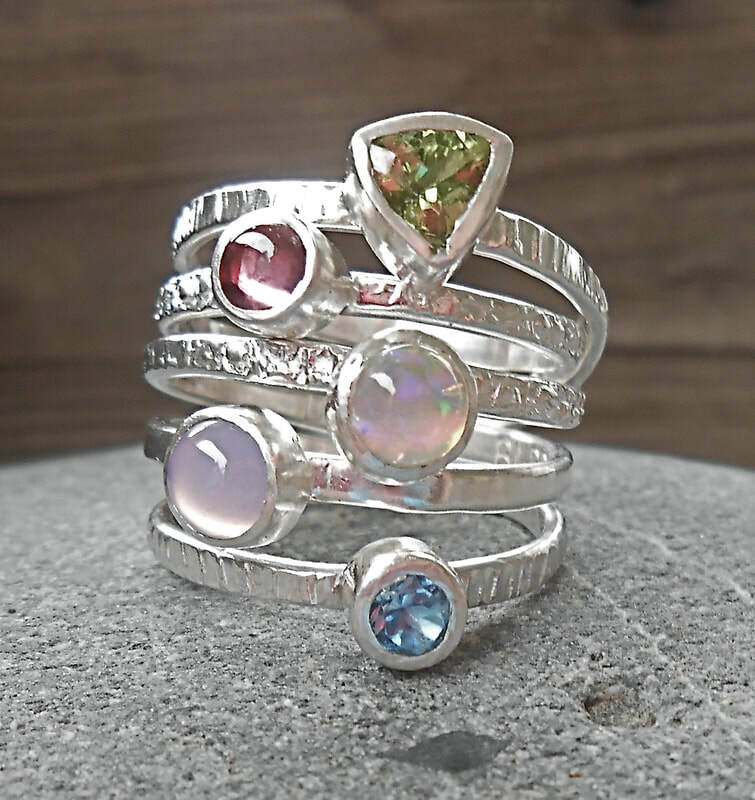 Often given in celebration of the 16th wedding anniversary, this wondrous stone is also thought to attract love.